NAB is upon us again and as expected 2016 promises to be another fantastic show with more great reveals of what is coming our way from the technology front in the next year or two. The organisers expect another record attendance with some 104 000 visitors from 160 countries expected to descend on Las Vegas in April. 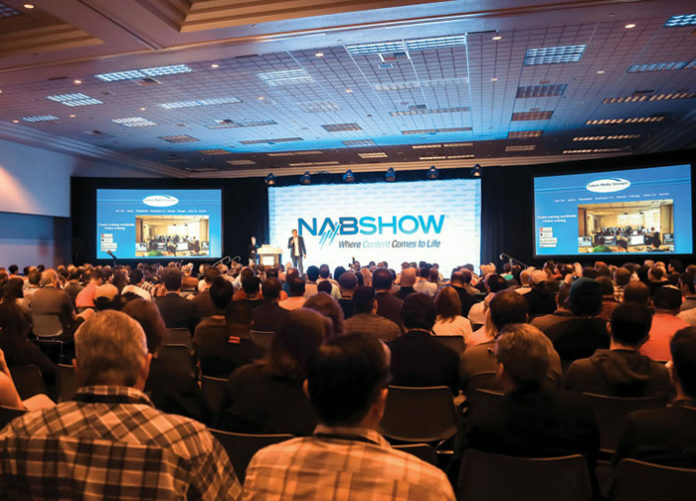 The NAB Show Conference Programme is the industry’s gold standard, providing visitors with a year’s worth of intelligence-gathering in all areas of expertise, as well as the ultimate learning and networking environment, over the course of a few days. Apart from the exhibition the conference programme is an important and popular meeting point for many. 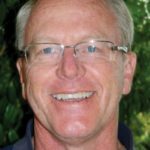 The Broadcast Engineering Conference covers numerous topics and a few of the more interesting conference sessions include cyber security for broadcast operations in an IP environment and the big debate on UHD and the next generation of video formats. Of interest to many will be the ‘Future of Cinema’ conference. Today’s cinema creatives face an ever-changing environment of enhanced formats, evolving platforms and brave new experiential technologies. The conference is hosted by numerous industry experts and creatives who will discuss the next 100 years of motion pictures and how content makers work with technology to thrive today – and well into the next century. Something not to miss is the Virtual Reality Production Summit, billed as ‘Emerging Immersive Worlds’. Virtual Reality is currently climbing the hype cycle. Augmented Reality is almost in a position to begin its own ascent. There are daily stories about hardware advancements, new products from the latest VR startup, or the VR development plans of a gaming house or production studio. Through a mix of keynotes, panel discussions, and audience Q&A sessions, the summit strives to separate what is real from what is vapourware covering the technology and business aspects of this emerging marketplace, which some consider to be a new media type and art form. Last year, NAB’s floor space expanded to cover some 1 013 544 square feet, accommodating the 1 800 exhibitors for the four-day event. A highlight for many attendees was the Aerial Robotics and Drone Pavilion. When it comes to creating killer content, the sky is the limit – literally! Back again in 2016, the Aerial Robotics and Drone Pavilion includes a fully enclosed ‘flying cage’ that gives you an up-close and personal look at this technology in action. This is no mere fly-by. A panel of industry experts – inclusive of broadcasters and exhibitors – will take you through all aspects of employing aerial technology. An area of interest for most broadcasters is the Connected Media Pavilion. Situated in the South Hall, this is the solutions destination that explores the underlying technologies enabling audiences to receive, discover and interact with content across any device, anywhere. It’s all about IP-focused technology including IPTV, OTT, mobile, social and cloud. And it’s all about consumer engagement and the rising importance of brand casting – bringing audiences closer to the action and today’s leading brands. Through exhibits and a full seminar programme, the Connected Media Pavilion will provide you with the tools and knowledge to deliver the ultimate multiscreen audience experience. Something new this year is the Virtual & Augmented Reality (VR/AR) Pavilion – it will be the place to get your hands on the latest augmented and virtual reality equipment and software. The world, as we know it, is changing. Virtual and augmented reality is impacting all aspects of filmmaking, storytelling, cameras, lighting, sound, production, special effects (VFX), editing, distribution, coding and consumption. The VR/AR Pavilion features the leading content producers and tech companies building the future and changing the way we consume information. Post|Production World (P|PW) is the world’s leading training event for content creators and designers including TV, film and video editors, producers, directors, graphic artists, motion graphics designers and new media specialists. Produced in partnership with Future Media Concepts, the five-day programme features a robust multi-track schedule focused on production and post-production technologies, trends and workflows. In addition to the general sessions, P|PW offers multi-day, certification-prep and hands-on training that allows attendees to dive deep into platforms such as Adobe After Effects, Adobe Premiere Pro and Apple Final Cut Pro X. New this year, P|PW offers a track dedicated to graduating students to provide them a leg-up in navigating the industry. Also back are five unique field workshops showcasing the latest tools and techniques impacting the industry. What can we expect to see from suppliers this year? As always there’s a healthy amount of competition trying to get it right for the consumers on the camera front. It’s exciting to see how quickly these companies are turning around new cameras with the improvements that DOPs and camera operators are asking for. We have heard several times in the past year that Canon is planning to release an 8K camcorder, now it seems that is true. The latest rumors suggest that Canon will announce the new EOS C500 Mark II camcorder at NAB as well as the much anticipated Canon EOS 5D Mark IV. Canon is a bit late for the 4K market, so they don’t want to miss out again in the 6K or 8K market. RED is gearing up to release their all new RED Raven. This camera packs quite a punch with 240 fps at 2K and 120 fps at 4K raw, this camera is said to provide just as clean of an image as its predecessors, but with a lighter weight body and fully compatible with the RED Weapon. RED will be offering three different packages: the brain only, the jetpack package and base i/o package. No newcomer to surprise, rumour has it that Sony is working on an 8K Cine Alta camera which will replace the current top of the line Sony F65 camera. According to some insiders, the sensor will be based on A7r2 backlit CMOS technology and will include a global shutter mode (either mechanical or electronic). It will record 60FPS in 8K resolution, 240FPS in 4K resolution and will feature a16-bit RAW uncompressed and compressed onboard recorder offering ProRes, DNxHD, DNxHR, AVCHD, XAVC, SR, MPEG-2 and H264 formats. Go Sony! Blackmagic Design are busy testing the URSA Mini 4.6K and it is already being dubbed by some as possibly the hottest camera of NAB 2016. Late last year GoPro announced the imminent release of the Hero 5 and that it had entered the aerial camera market with the Karma drone. While it’s GoPros first venture outside of straight action cameras, it will come of no surprise to many. Drone operators and enthusiasts alike have been flying GoPros for years; a DJI Phantom and GoPro combo quickly became the go-to package for entry level aerial filmmakers. DJI has since started the production of its own cameras, which in-turn has taken over what a GoPro package can currently offer; the DJI X5R can record raw video utilising a micro four thirds sensor. Because of DJIs latest offering, a GoPro Hero 4 simply bolted to a same branded drone will not suffice as a market leader. It will be interesting to see where the Karma sits within the industry, my guess is GoPro will target the entry-level market and challenge the Phantom 3 in spec and price, offering a Hero 5 on an affordable gimballed drone; this would fit their mass consumer profile. There is further speculation that if the GoPro Hero 5 would indeed be designed to be small, portable, and fit into the Karma drone, then this would make it “the most versatile camera to be built.” Rumours about the Karma drone also indicate it to have a waterproof housing, which would allow users to take pictures underwater of up to 60 to 100 metres below water surface level. Therefor, the Hero 5, through the Karma drone, would be able to take pictures on land, in the air, or underwater. There are some companies we haven’t heard from yet concerning upcoming releases for 2016 – such as Panasonic, Arri and AJA. Does this mean that they are secretly concocting a new camera model to blow your mind? Or have they run short of R&D funds? Whatever the reason, there’s still plenty of time for new and exciting products to emerge at NAB and beyond so keep a look out!